The Alerian MLP ETF remains the largest ETF in the sector, in spite of its ruinous tax drag and long term returns that are less than half of its index. It’s been a commercial success for its promoters but a disastrous investment for many holders. Over the past year, stock prices for the integrated oil companies (IOCs) have outperformed the independent U.S. shale drillers. Chevron CEO Mike Wirth must have used the term “short-cycle” at least half a dozen times on Friday’s call discussing their $33 billion acquisition of Anadarko. It’s a feature of the Shale Revolution that’s still unappreciated by investors. Humor can be a most effective weapon against your adversaries, especially when more extreme measures are unavailable. MLP management teams have made many poor capital allocation decisions in recent years, providing a rich source of material. German 30 year bunds yield 0.6%. Investors are inured to insultingly low yields, but somehow this still shocks. Realizing the full potential of the Shale Revolution has demanded a lot of capital – over $1TN by one estimate. Management teams’ desire to grow has increasingly conflicted with investors’ insistence on greater cash returns. It's hard to make such a precise forecast. However, we do think stocks look very attractive relative to bonds and are likely to do well over the long run. No, $KMI is a corporation. They gave up being an MLP in 2014 because it was too expensive to raise capital. Perhaps investors regard energy as relatively less vulnerable to trade disputes. BIF Boulder Growth & Income Fund Inc.
JCP J.C. Penney Company Inc.
OSGB Overseas Shipholding Group Inc.
PTRC Petro River Oil Corp.
SL Advisors is a registered investment advisor offering investment strategies that can be accessed through separately managed accounts for individuals, family offices and institutions. SL Advisors is designed to offer clients the same investment strategies with the same transparency, liquidity and access in which he invests his family’s money for a low fee. An up-close look at the fixed income market and what lies ahead Interweaving compelling, and often amusing, anecdotes from author Simon Lack's distinguished thirty-year career as a professional investor with hard economic data, this engaging book skillfully reveals why Bonds Are Not Forever. Along the way, it provides investors with a coherent framework for understanding the future of the fixed income markets and, more importantly, answering the question, "Where should I invest tomorrow?" Bonds Are Not Forever chronicles the steady decline in interest rates from their peak in the 1980s and the concurrent drop in inflation during that period. 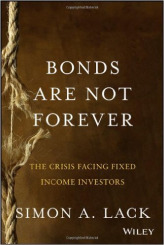 Offering a uniquely intimate, yet analytically thorough look at the coming fixed income crisis, Bonds Are Not Forever is must reading for investment professionals, as well as retail investors and their advisors. Sure, hedge funds have produced some of the greatest fortunes in recent years, but the shocking reality is that investors would have made more putting their money into treasury bills instead. And while hedge funds have proved to be serious moneymakers for those that manage them, investors themselves rarely reap the benefits. 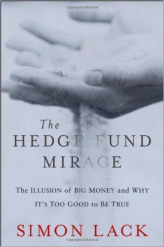 In The Hedge Fund Mirage: The Illusion of Big Money and Why It's Too Good to Be True, hedge fund expert Simon Lack blows the lid off the secret world of this class of investments, teaching you everything you need to know to maximize your own returns.